In June, when the world’s best men’s soccer teams kickoff World Cup 2018, we will be painfully reminded that Team USA will not be among them for the first time in over 30 years. After their shock elimination defeat to Trinidad and Tobago back in October, the US Men’s National Team, along with all of US Soccer, were forced to step back and evaluate everything about the program. This includes finding and developing the next generation of World Cup hopefuls from the millions of kids who play the game today. Part of that overhaul is to build a common, national data platform that coaches and technical directors can use not only for the day to day training but also extensive talent identification, (i.e. finding the needles in the haystack). In a recent, major announcement, US Soccer revealed they had inked a deal worth an estimated $1.5 billion with STATSports, an Irish technology company that already works with some of the biggest soccer teams in the world. Using their APEX athlete monitoring devices, a small pod located in the back of vests worn by players, the system can provide real-time data on each player’s physical performance, including distance, speed, acceleration, deceleration, high-speed running and heart rate. Coaches and trainers monitor this data stream via tablet computers on the field while also doing the more in-depth analysis later by accessing the data from the STATSports servers through encrypted cloud services. While the partnership starts with outfitting all of the U.S. national teams, the technology will be made available to millions of youth players over the next three years. “We believe there is tremendous potential for the <system> to track performance, improve education for parents, players, and coaches, and to enhance player health and safety for the more than 4 million registered players in the U.S.,” added Bunce. Understanding the physical demands of daily training on an adolescent body has often been trusted to one or two coaches, asking them to monitor up to 30 individuals with nothing but their eyes and observations. Managing a team’s training load, performance and fatigue is much better handled by objective, automated data gathering which can be benchmarked and tracked with threshold alerts when a player shows a sudden drop or a gradual decrease in performance. While a GPS unit primarily reports on physiological metrics, it can also provide interesting tactical player movement information. Combined with film analysis, a wearable unit can map out locations traveled on the field by each player producing “hotspots” of where they spend most of their time, whether they should or shouldn’t be based on team strategy. As High-Performance Director for the MLS’ Columbus Crew, Steve Tashjian knew he wanted to include technology-based tools to help provide an unbiased view of each player’s current state. Now in his second stint with the Crew, after spending five years in a similar position with Everton F.C of the English Premier League, he wanted to create an environment where sports science could offer a substantial input to the team’s decision making about player health. Adding cognitive assessments is the key to this puzzle or this piece of art as Tashjian calls it. GPS tracking devices provide only half of the complete picture of an athlete. While we may be able to spot fatigue, a possible injury or even lack of effort with this technology, we can’t measure visual perception, decision making, and skill execution. Those skills lie in the brain and rely on years of repeated practice built on a baseline of cognitive abilities. Just as knowing acceleration speed, miles run and heart rate variability provides a physical dashboard, there are emerging methods to better understand the cognitive components that control not only the physical effort but also the sport-specific skills that produce the final result. We refer to this set of skills as the Athlete Cognition Index (ACI), which can be the missing ingredient to a full performance scorecard. In many cases, revealing a team’s ACI can provide answers to the “why” questions asked by the GPS-based physical assessment. Why is overall physical output lower in scrimmages versus conditioning drills? Why is a fatigue threshold lower for some players? 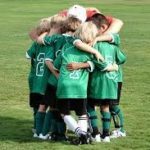 Why does speed of play drop during small-sided games? GPS devices gather the symptoms but the brain is the central controller of overall sports performance. “Key performance indicators are emerging by position that will assist with developing national standards, player development initiatives, national team selections, in-game tactical considerations, review training responses in real time and adjust practices based upon environmental change and conditions,” adds Jarlath Quinn, STATSports Group Managing Director. So, watch for this technology coming to your US Youth Soccer-affiliated club in the near future. Along with measuring athlete cognition, it is the next generation of technology that just might help the US qualify for the World Cup in 2022.